Louisville Metro’s Office of Civic Innovation and Develop Louisville are seeking input from the public for an Autonomous Vehicle (AV) Playbook to help the city proactively prepare for the impact of autonomous vehicles on transportation. The public meeting to discuss the playbook and potential strategies for integrating AV technology will be held on Wednesday, May 30 at 6:30 p.m. at LouieLab (745 W. Main Street). Though Louisville may not see widespread adoption of AVs for several years, it is important that the city initiates a conversation now on transportation values and provides an initial framework by which we can better understand the advantages and potential pitfalls of this new technology. While projections of how, and how quickly, the technology will be adopted are still being studied, AVs are expected to have a dramatic impact on how people and goods move to, from, and around our nation. In anticipation of that, Louisville Metro is researching and crafting a policy framework that prepares for this technology while ensuring that mobility is enhanced in an equitable manner for all of Louisville’s residents. Ensure that major infrastructure decisions focus on safe movement of people and goods while considering the effects of AVs. Forge public-private partnerships to prepare for new regulatory and technological challenges, anticipate emerging technologies and establish best practices. Prepare for changes in parking demand. Ensure AV technology supports TARC operations to strengthen our transit system. 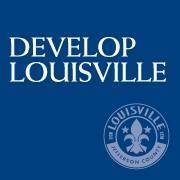 Develop and maintain transportation technology and data infrastructure to provide enhanced safety and reliability while encouraging innovation and providing accurate information to people using Louisville’s transportation network.